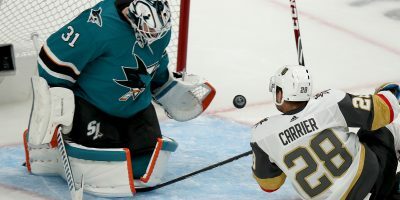 San Jose set up a second-round showdown with another Pacific Division opponent, the Vegas Golden Knights, by fending off a physical Ducks team, 2-1, Wednesday at SAP Center behind a nearly flawless game, and series, from goalie Martin Jones. 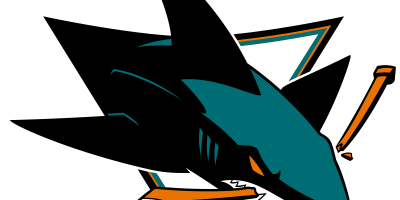 Halfway through the third period, Tomas Hertl tipped in the go-ahead goal for the Sharks, and Jones continued his dominance contributing 31 saves. 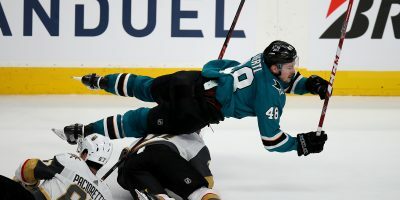 Offensive special teams were virtually absent on both sides, as four power plays by the Ducks and three from the Sharks would produce no scoring. San Jose carried some momentum over from Monday’s 8-1 blow-out victory when Logan Couture found himself on a breakaway just five minutes into the opening period, but John Gibson provided the glove save as Couture tried to lift a backhand past the struggling net-minder. Not even one minute after Couture’s chance, the Sharks established an early 1-0 lead as Marcus Sörensen tallied his third goal of the series. Sörensen received the puck into the crease off a Brent Burns shot from the point. Upon being denied by Gibson’s right pad Sörensen received the puck yet again, but this time the young Swede lifted the puck into the Ducks’ net as Ryan Getzlaf was unable to block it. 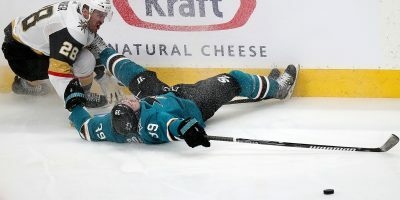 The Sharks’ second-ranked penalty kill unit — 84.8 percent during the regular season — was put to the test in the second period as they faced a five-on-four three times. Getzlaf did find the Sharks net, but not before the second period horn sounded. The desperate Ducks came out of the dressing room eager to even the scoring in the third. 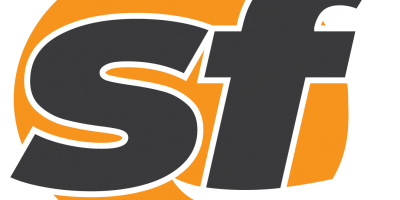 Just 30 seconds into the final period, Brandon Montour found Rickard Rakell at the side of the slot, to beat Jones at the five-hole. But a replay review found an Anaheim player offside, negating the score. After having two goals waved off the Ducks finally managed to tie the game, courtesy of Andrew Cogliano who received the puck in the slot from Ryan Kesler beating Jones to the glove-side. The tie wouldn’t last long, though. Just over one minute after Cogliano’s game-tying goal, Marc-Edouard Vlasic sent a shot from the point that deflected off Hertl’s skate, giving the Sharks a 2-1 lead. “The response goal was huge. We were on our heels, they were pressing. It’s tough to play an elimination game when you’ve got an opportunity to sweep a really good team like that. From then, it was just over nine minutes of scrambling Shark defense solidified by Jones, who finished the series with 131 saves (97 percent). The Sharks will face the Golden Knights, after their sweep of the Los Angeles Kings, in the second round beginning with Game 1 in Las Vegas.